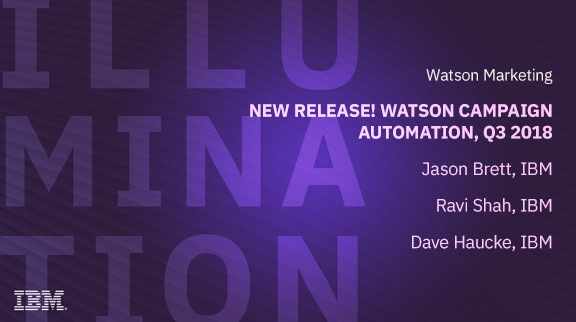 Please join the IBM Watson Marketing Offering Management team as we discuss the latest innovations in the Watson Campaign Automation platform. We’ll cover topics including Performance Insights dashboards, AI-powered Watson Assistant, Programs design canvas, mobile marketing capabilities, accessing the new user experience and much more. And of course, we’ll have live Q&A at the end of the presentation.